A detailed, general tutorial on the binary tree data structure ( with a C Program ) is available here : Binary Search Trees - Tutorial with C Program Source Code and Documentation. 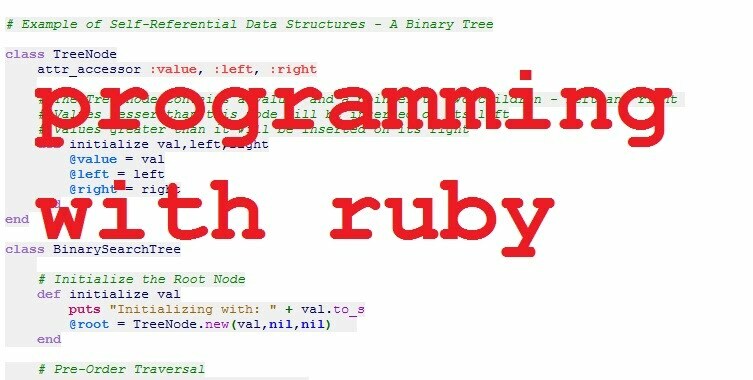 Over here, we take a quick look at a Ruby program to construct and traverse through a Binary Tree. Hopefully the documentation and the comments will enable you to figure out the important ideas involved over here.